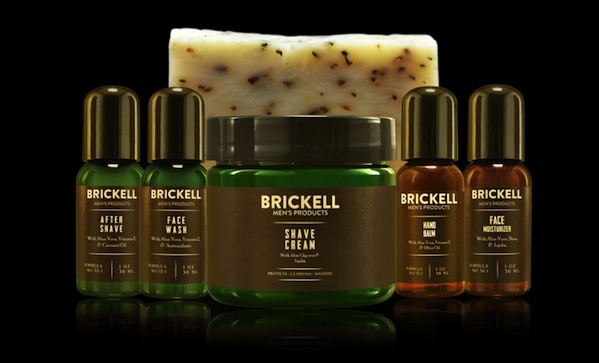 If you’re the kind of guy who is keen on taking measures to maintain a composed appearance—measures like moisturizer, lip balm, and anti-aging cream—but also the kind of guy in favour of using organic ingredients, then you’re the kind of guy who ought to take a look at Brickell Men’s Products. What kind of men’s products does Brickell make? They make stuff for your face (moisturizers, face wash, anti-aging cream), stuff for shaving (shaving cream, aftershave), and stuff for your body (lotion, wash, balm, and bar soap). If you need travel sizes, they have those too. I tried out both their moisturizer ($35) and hand balm ($25). The moisturizer contains aloe vera for moisture, jojoba for moisture retention, shea butter for vitamins A, E, and F, and green tea, which contains anti-oxidants. The whole point of moisturizing (especially after shaving) is to prevent your face from aging; aging, in this case, means long-term damage like wrinkles and fine lines. You don’t need very much to cover your face; also, it’s a little thin, leaves no residue, and doesn’t have a smell. The hand balm also contains shea butter and jojoba, and it has vitamin E, which helps repair dry skin. Fragrance-free, the hand balm is really nice stuff. It’ll keep your hands feeling good even if you’re, say, doing something really drying like handing cardboard boxes all day. No, I didn’t take a part-time job in warehouse, but I did help a friend move. Recalling my part-time warehouse days and the drying effect it had on my hands, I decided that moving would be a good test of Brickell’s hand balm. Well, that and my friend can’t drive. The hand balm held up pretty well—I’m looking forward to using some this winter. Rather helpfully, you don’t have to take my word for it. This sample pack costs $3, and it has their face wash, shave cream, after shave, and moisturizer. Or, you can even skip spending $3, sign up for their newsletter, and get the sample pack for free. Seriously: what do you have to lose?